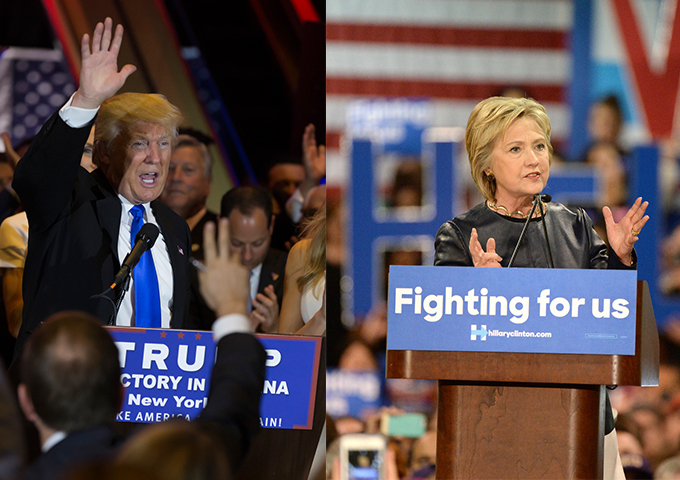 Can food policy advocates break through a noisy presidential campaign? Last week, Donald Trump entered the food and farm discussion in a significant way for the first time by appointing a team to advise him on agriculture policy. Over the weekend, speaking to a crowd at Iowa Senator Jodi Ernst’s “Roast and Ride” fundraiser, Trump warned of Hillary Clinton’s “war on the American farmer,” and promised to lower taxes on “family farms” and double down on a federal mandate that turns a percentage of the corn grown here into ethanol fuel. This week, Trump’s 64 newly appointed agriculture advisers and five Clinton aides received a letter from Plate of the Union, a coalition of food and agriculture groups that set out together last fall with the audacious goal of influencing the next President’s policies on food justice and sustainable agriculture. In a truly wild and unprecedented race for the Oval Office, the Republican nominee’s committee appointments and comments in Iowa shined a rare bit of light on national agricultural issues. And Plate of the Union’s plea for both candidates to engage even more deeply with food issues is certainly impassioned. But in the current landscape, it’s hard to say what impact its efforts can have. Less than 70 days from election day, both organizers and outside political observers use the same phrase to describe the larger efforts to make food policy a central election issue: an uphill battle. Last October, Plate of the Union’s organizers were confident that during this election cycle, food policy could hold a more central place in the national conversation. They’d procured some pretty convincing poll numbers showing that many Americans were hungry for a transformed food system that was more equitable, nutritious, and sustainable. Issues like food access, childhood nutrition, and worker justice “could really move the kind of people who need to come out for the next presidential win,” Claire Benjamin DiMattina, the Executive Director of Food Policy Action (FPA), one of the core groups behind the campaign, said at the time. Ten months and two primaries later, the nominees from both major parties are set and organizers say their initial strategy was formed to withstand the volatility and surprises we’ve seen. Organizers say they’ve had “a pretty good back and forth” with Hillary Clinton’s campaign, whose “good written discussion of food policy … hasn’t yet made it to the public discourse,” according to Jenn Yates, who manages campaigns and advocacy for the food program at Union of Concerned Scientists, a member group of Plate of the Union. As for the group’s repeated outreach to the Trump campaign? Crickets. Where’s the Appeal to ‘Food Voters’? In late 2014, the Union of Concern Scientists met with Food Policy Action and the HEAL Food Alliance to brainstorm ways to encourage the next president to adopt a more active role in food and agriculture policy. One of the first steps the newly formed Plate of the Union coalition took was to gauge public opinion on various food policy issues through a national poll, conducted by Lake Research and Bellweather Research in 2015. Fifty-three percent of the bipartisan field of respondents said too many Americans lack access to nutritious food; 81 percent were concerned about the amount of money industrial food interests give to elected officials; 81 percent were concerned with the disparity between the kinds of crops that receive agricultural subsidies and the fruits and vegetables the government recommends Americans eat; and 75 percent believed domestic farming practices should be more sustainable. Both polls appeared to suggest that the American people care a lot more about creating a fair, safe, and equitable food system than most politicians give them credit for. This gave Plate of the Union and other advocates the confidence that if candidates talked about food, voters would come. All in all, there were precious few substantive mentions of food and agriculture during the Primaries. Exceptions exist, of course: the occasional question from a farmer at a town hall or debate; Bernie Sanders’ public stand against a bill that would regulate the labeling of genetically modified foods; or a position page on a candidate’s website here or there. Plate of the Union tried to insert food and ag into the conversation at the parties’ conventions in July. Driving a retrofitted food truck right up to the Republican and Democratic conventions in Cleveland and Philadelphia, respectively, campaign organizers invited delegates, elected officials, and the campaigns themselves to events with celebrity chef and activist Tom Colicchio that told the story of why we need broad change in the food and agriculture system. Given the fact that Republicans and Democrats tend to approach food and farm policy differently, Yates says each convention message was tailored—elevating fiscal responsibility with the Republicans, or environmental sustainability with the Democrats, for instance—but, “in general, it’s a message that resonates across the board,” she adds. Still, Yates considers Plate of the Union’s party convention presence a success, citing the members of Congress who showed up to events and follow-ups with those who did RSVP, but didn’t attend. Even so, that strategy failed to get the candidates themselves to engage with the issues in any meaningful way. Some are pointing to Trump’s appointment last week of an ag advisory committee–which is comprised of current and former governors, members of Congress, agribusiness executives, and the like—as a demonstration of the candidate’s desire to learn about the issues facing farmers, albeit from a right-leaning, more corporate perspective. But his Iowa “Roast and Ride” speech notwithstanding, farm and food policy isn’t a regular part of Trump’s speeches on the stump, and his committee appointment last week barely registered against news of his sliding poll numbers, his campaign director’s resignation, or continued questions about Hillary Clinton’s e-mail servers and foundation practices. If Trump himself can’t raise the profile of food and farming in this election, is there any hope for an outside group like Plate of the Union? Yates and Plate of the Union remain hopeful. The coalition will keep pushing the issue straight through the November 8 national election. The centerpiece of the strategy between now and then, Yates says, is the mobile food truck, which will travel to battleground states like North Carolina, New Hampshire, Iowa, Ohio, and Pennsylvania to mobilize voters around food and farming. A September 8 event in Londonderry, New Hampshire will feature Stonyfield CEO Gary Hirshberg. Plate of the Union will continue to pressure the Clinton and Trump campaigns to make public statements, and engage with both voters and campaigns through social media during debates and major speeches “to drive the conversation,” Yates says. If they are successful, she expects there to be some backlash against the campaign from agribusiness interests seeking “to advance their interest within their current system and our campaign finance laws.” But at this point, the campaign’s impact hasn’t been great enough to merit such a response from Big Ag. On a larger scale, to Schmidt, Washington, D.C. is “paralyzed by huge, powerful interests,” making a national campaign to bring food policy to the fore “practically hopeless.” The political scientist thinks local, grassroots food policy campaigns are more likely to be successful on this front. To the food activists behind the Plate of the Union campaign, if the short-term goals aren’t met, there’s always the long game: lobbying whomever’s elected President of the United States. When this happens, Plate of the Union hopes its advocates for a food system that is more equitable and healthy will have a seat at the table.